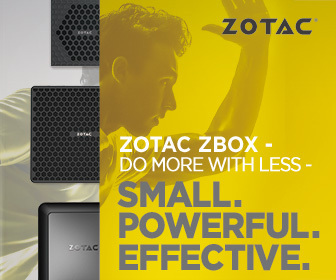 OCZ today announced the new VX500 line of performance SSDs in the 2.5-inch form-factor, featuring SATA 6 Gb/s interface. The drives are based on a new-generation platform by OCZ’s parent company Toshiba. The drives combine Toshiba TC358790 controller with 15 nm MLC NAND flash memory chips by Toshiba. The drives come in capacities of 128 GB, 256 GB, 512 GB, and 1 TB, and offer price/GB comparable to TLC NAND flash-based drives; yet with performance comparable to high-end MLC NAND flash drives. All four variants offer up to 550 MB/s sequential reads. The 128 GB, 256 GB, 512 GB, and 1 TB variants offer up to 485 MB/s, 510 MB/s, 515 MB/s, and 515 MB/s of sequential writes, respectively. Random access performance is rated around 90,000 IOPS reads, with up to 65,000 IOPS writes. The 128 GB variant is priced at US $63.99, the 256 GB variant at $92.79, the 512 GB variant at $152.52, and the 1 TB variant at $337.06. The drives are backed by 5-year warranty. Acronis TrueImage disk cloning software comes included.